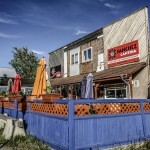 Whitehorse, YT in Canada came out of left field with its cool culture, quality restaurants, breweries and coffee roasters. We had no idea this would be such a hip stop! 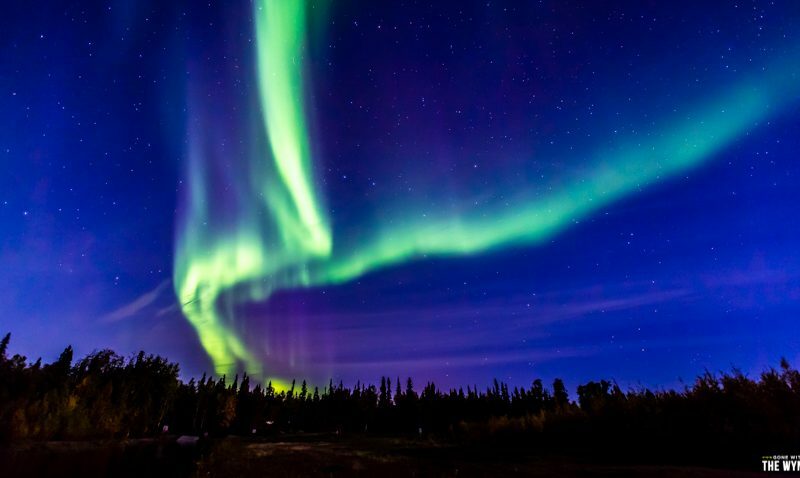 You might ask “Then why did you visit Whitehorse?” Well, because it’s en-route to Alaska so we kinda had to! This is the first town with good WiFi so we can hunker down for a few days and get some videos and photographs uploaded. We have two sets of RV travelin’ friends (The Snowmads and Jeneric Ramblings) in Whitehorse so we’ll get to socialize a bit and swap our ALCAN stories with our friends Cassiar Highway stories. It’s our last opportunity for full hook-ups for a while so we better do laundry and a do a thorough cleaning of the coach. Since this is our first time to have solid WiFi we decided to bust out the new drone and “learn” how to fly it. We had one good flight experience but the second experience was “near death” for our new flying camera (unfortuneately I wasn’t rolling for this) so we’ll hold off on flying it again until we watch more tutorial videos. 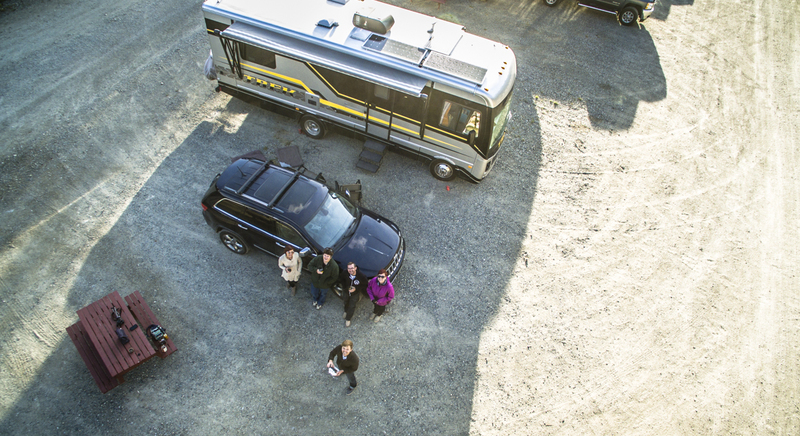 Here’s our first ever photo from the drone…yep, we’re gonna need way more practice! 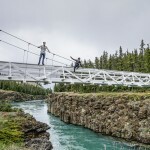 The Miles Canyon trail head can be accessed by crossing the neat Robert Lowe Bridge, and in our opinion crossing any suspension bridge is always a fun way to start a hike. 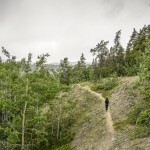 The trail meanders up and down the hills parallel to Schwatka Lake and the Yukon River, it’s not a difficult hike but it’s in total the trail is around 11km, however we only did a few kilometers before turning around due to time constraints. 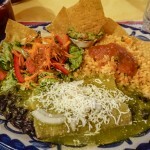 Sanchez Cantina – This spot came up as one of the best places to eat in town and we were 100% in the mood for spicy, although I’m always in the mood for good Mexican food. 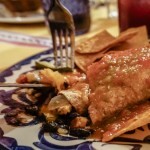 Is it the best Mexican I’ve ever had? 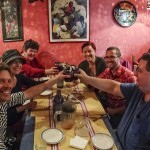 No, but that house made guacamole and fresh Oaxaca cheese in my enchiladas made for one darn tasty meal and the sangria pitchers had our entire group leaving with a smile. 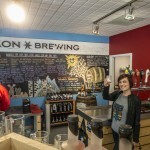 Yukon Brewing – The beer was tasty and the samples are free, which is nice, but when it comes time to checkout you better get ready to shell out some dough. 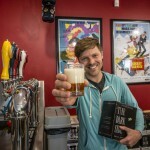 If you have your own growler the brews are more reasonable but the bottles and cans are ridiculously expensive! We couldn’t resist their midnight pack that featured a variety of tasty dark beers, and we figured the samples were free so that was kinda like a “discount”, right?!? Bean North Coffee Roasting Company – We were totally stocked on coffee but we did get to taste this black gold and it is very smooth and delicious. I’m sad we didn’t purchase a pound of beans, but we’ll hopefully get another chance as we pass through town again. As we pulled into Pioneer Park we looked at each other and said “we don’t want to stay at this ****hole! Yep, you can fill in the blank with whatever four letter word you’d like. This is where our friends were staying and they gushed about the fast WiFi and affordable rates, but we weren’t sold. Turns out they have “Satellite Friendly” 50a full hook-up sites that are side by side in a dirt parking lot out front and right off the highway, but their partial hook-up treed sites on the hill are actually pretty nice! Also the 30a power connection got us excited to really test our new Hybrid Inverter, and oh man did it perform better than expected! At one point I was running the space heater, griddle, electric water kettle, washing machine and both our laptops all at the same time without tripping the 30a breaker! If you’re an RVer you’ll understand just how exciting that is! The WiFi was fast but they make you purchase each gig, it’s only a couple bucks so it wasn’t a big deal. Remember that big rock that smashed our windshield a few days back that the glass repair shop told us was impossible to fix? 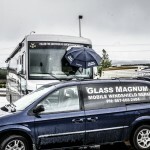 We were told by many local people to call Glass Magnum to fix our windshield damage because “this guy can repair anything” they’d say. Sure enough Bruce met us in the Wal-Mart parking lot before heading out of town and fixed us right up. He did provide a disclaimer saying he couldn’t make the damage perfectly clear, like he can do with a smaller crack, but he could seal it and there’s a good chance it would keep the crack from spreading any further allowing us to get back to the lower 48 to replace it after our trip. No problem we said, its $80 well spent for a little peace of mind. Just a personal thought about Wal-Mart Camping: We totally can go for an overnight stop at Wal-Mart but what’s happening at this Wal-Mart seems crazy. I realize there are two sides to every situation, however the number of RV’s in this parking lot is unbelievable, especially the amount of run down trailers that are disconnected with bikes, grills, rugs, satellite dishes, etc. outside their doors. It’s obvious there are several people living here for weeks, maybe even for months. I won’t go deep into a tangent but I can tell you that we didn’t travel this far north to camp in a parking lot, we’d much rather be in nature! 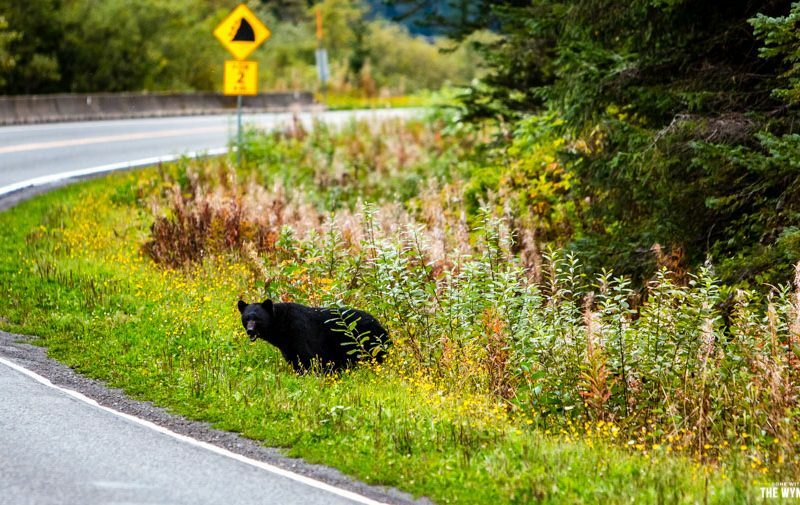 At Whitehorse you have to make the decision to either drive north up the Klondike Highway and onto the Top of the World Highway, or continue west on the Alaskan Highway. 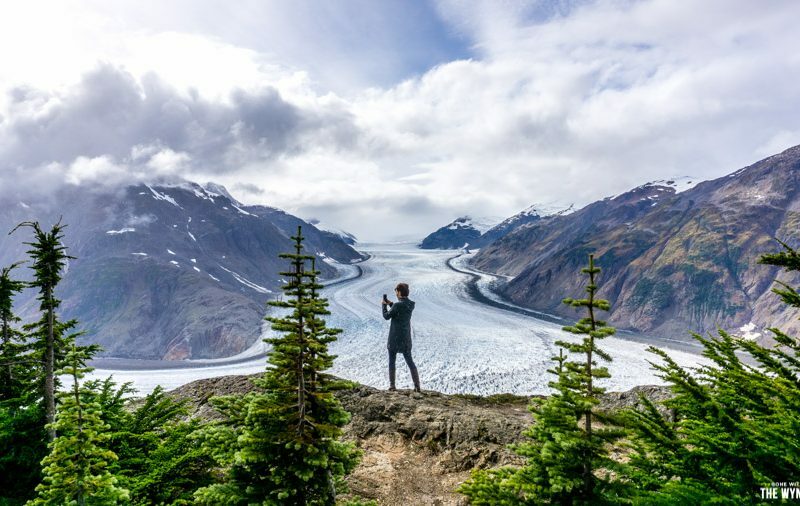 The promise of cool towns, ferry crossings, beautiful views and the allure of traveling on a road called the “Top of the World” is simply too great for us to stay the course and continue on the ALCAN, we can always drive the rest of the Alaskan highway as we’re heading back to the lower 48. 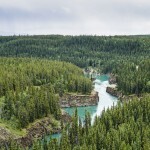 This road is also known as Alaska Route 98 and the Yukon Highway 2 and it basically parallels the route taken by gold prospectors in the late 1800’s. I can imagine what a brutal trip it would have been for all those people heading north in search of gold, but now the roads are pretty darn nice. From Whitehorse, YT we’re only traveling on part of the historic route, technically the terminus of the road is in Skagway, Alaska. To be honest there doesn’t seem to be much up this road. People told us it was a great drive but found it to be uneventful in terms of views/viewings, in fact we had to stop halfway up in a pull-out to make some coffee! We didn’t see any wildlife, there are only a few little itty-bitty towns along the way and based on the looks of them we didn’t feel the need to investigate. Maybe we were still sad about leaving Whitehorse too early and not getting to play much in town, who knows? There are a few pull-outs with nice views including Five Fingers Rapids (around KM 380) that has a nice hike down the hill and into the trees. 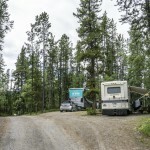 We did notice a neat looking free campground right on the water (around KM 463) called Pelly River Crossing Campground but at this point we just wanted to make it to Dawson City. Somewhere along the way there was a “lookout” that featured the re-vegetation from a past fire and although there was zero view because the trees have all grown back but Singa did enjoy a quick walk through the woods. At KM 675 the Dempster Highway veers northeast towards Inuvik, it’s a long, slow, mostly dirt road that we originally planned on taking however many fellow travelers warned against taking the RV up there, and I feel like time is already running out for “unnecessary” diversions, so we skipped it. We did stumble upon a cool Wild Camping spot tucked off the highway, you never know what you’re going to get when to turn down a random dirt road along the way. 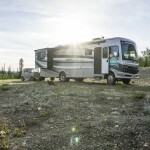 The spot was wide open with plenty of room for several RVs and the kitties were in heaven rolling around in the dirt. The GPS coordinates for our exact spot are 62.476989, -136.670608 however there were plenty of other pull-outs all along the way. 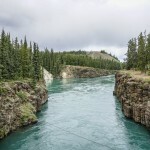 Whitehorse – There’s a ton of eating, drinking, hiking, paddling and Wild Camping opportunities in the area and we didn’t even scratch the surface of this town, I really hope we get back here and encourage you to check it out too. 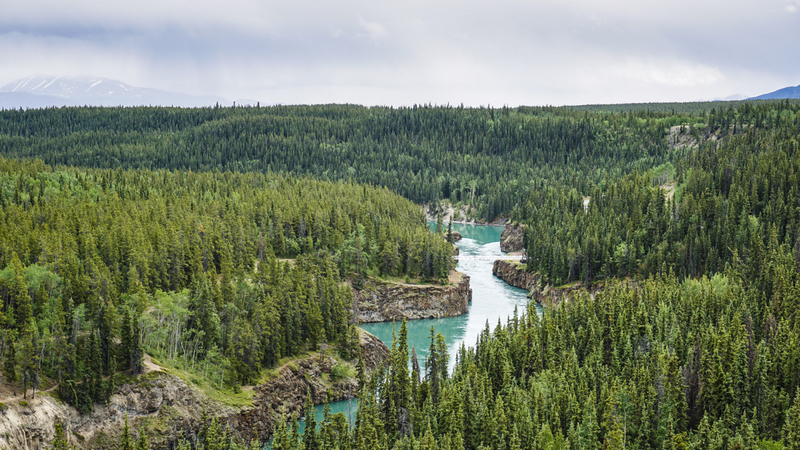 Paddle the Yukon River – The river that runs through Whitehorse has plenty of spots to drop in a kayak or a SUP for a casual paddle in the beautiful glacial water. Fuel Prices – Fuel in Whitehorse was substantially less expensive at $1.19/liter. Road Conditions – The Klondike seemed to be in good condition and fairly well maintained considering we were early on in the season. A few bumps here & there and a tiny bit of construction but nothing crazy. Weather – Temperatures were mild and pleasant with highs hovering in the mid-upper 60’s and the lows in the mid 40’s. 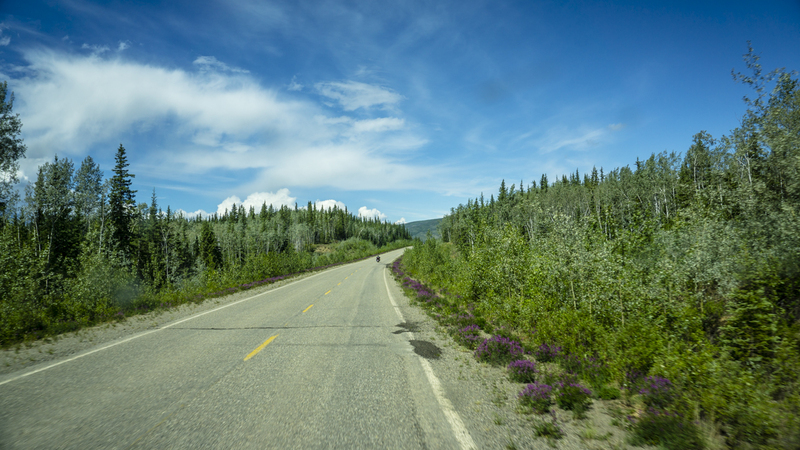 Have you traveled the Klondike Highway? What did you think about Whitehorse and the drive overall? Please share your thoughts in the comments below we’d love to hear your experience and suggestions! Incredible photography ..actually found you when buying the catamaran and then this..I’m canadian and love the north but not the BUGS..
You mentioned not seeing any wild life, we saw thousands of yellow signs warning of wild life but did not see any either. They must not have gotten the email that we were coming…. 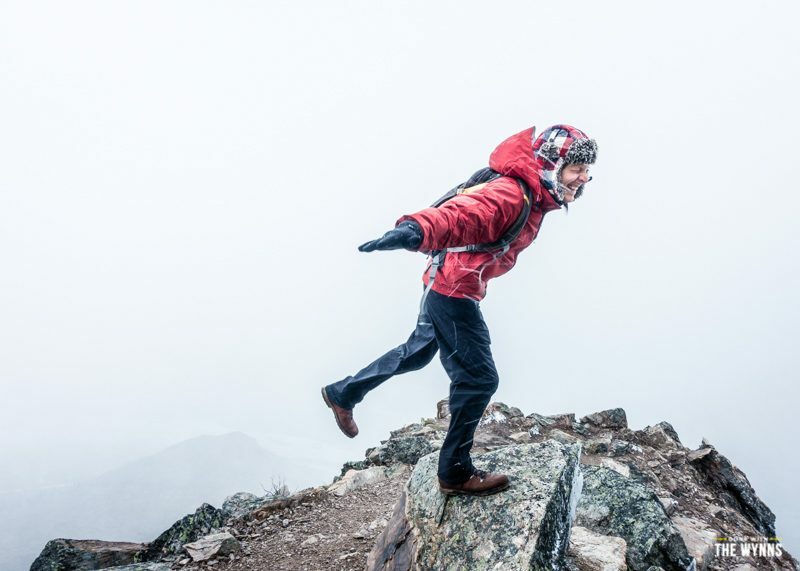 I am loving following your Alaskan Adventure! But I sure miss hearing from you guys more often! Great pictures! Great blog! Thanks so much for all the fun!! And Nicki, how do you stay in such great shape? When my husband and I are on the road I blow up like an inflatable life raft!! Please advise!! You are right I am getting a little cynical. You have fun and share what you are doing. Some people will always screw up good things. A few drone stories. The FCC is very slow to enact serious new laws concerning the use of drones but here are a few of the serious problems. Water tankers fighting a wild fire in California had to discontinue water drops because of a drone flying at 11,000 ft. Personally I have had them invading my personal space in our back yard it was being flown within 3 ft. of a power drop to our neighbors home. Not to mention the videoing of private property for potentially illegal gains. I have found out I am within my legal rights to use a pellet rifle to shoot it down over my property. A huge legal issue just wanting to happen. Just like anything else, it is about responsible use. I am sorry to hear you have had issues with them. We are looking to record nature and our adventures, not peoples back yards. Would like to hear some detail about travelling with cats…do they ever run off, what special precautions do you take, etc….love your stuff! Love the new news and pics!! One question! How are the Mosquitos? Esp on your hike in Whitehoarse! How gorgeous there!! I agree with you on the Walmart camping!! Why?? Lol. Guess it’s good though! More empty wild camping spots for us!!!! Can’t wait for your next post. 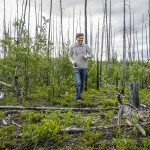 The mosquitoes were not bad in Whitehorse luckily which made for an even better hike! Great news letter and pics. You have me shopping for a drone now on amazon.  Is yours listed in the shopping store? I am a pilot of 20+ years so getting my hands on it and capturing some good overhead photos of our upcoming trip is an exciting prospect. I am still waiting on my bounder from the factory, expected delivery date is now 12 AUG, we are getting really excited after watching and learning from your post. Our first trip is a Georgia to see family and back thru Galveston for some beach fun. Looking forward to the Bounder info, so far i haven’t been displeased with anything you have reported on. Be safe and look forward to your next post. It certainly is in our store under cameras and computers! I bet you will be a much quicker study than we are. So far, its not hard to use, just takes some practice to get good shots. Congrats on the new RV. Remember to have a shake down trip before you head off too far! Hi, I check you website every day and just love your postings. I almost feel like I’m taking the trip with you and I have learned so much from you. I hope one day to buy a motorhome and go on some adventures. Thanks again for sharing your experiences. Great newsletter guys! Which drone did you get? Thanks for sharing! 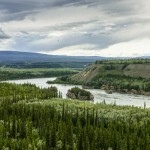 Looking forward to hearing more about the next part of your trip, anchorage, Denali and Kennai Penninsula! Heading there next week. Seriously, fuel was less expensive at $119.9/liter?? I hope this was a type O! If not, I’m sure I’ll never be driving in Alaska. Regardless, I am enjoying your travel adventures in Alaska. I hope you don’t have to come back south due to bad weather. I want to see you go to Denali. Any updates planned on the Bounder how is it working out? We just filmed a driving portion all about the performance so far and will have that up in the coming weeks along with some other updates. Love your stories. Been to AK a number of times but never driving. Thanks for providing such enjoyment. Well, thanks for coming along for the ride! PS. Maybe those Wal-Mart homesteaders were down & out locals, or maybe people who are just getting by. It’s an opportunity to count your blessings and also to wish those people well. We spoke to the locals about it and that didn’t seem to be the case and they didn’t sound happy about any of it. Apparently the current manager allows people to live there for like 6 months or something crazy. I mean that is very kind, just very unusual. 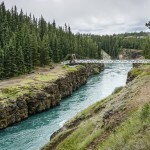 There are beautiful free and cheap government campgrounds just outside of Whitehorse if that is what is needed which is why we were surprised. Hello Wynns 🙂 Really enjoying your AlCan Adventure! We have been loving our new travel trailer & have put about 8000 miles on it in about 8 months. We took three long trips the last being through Montana & Wyoming. Our 4 mutts are having the time of their lives! Been following those Snowmads too, cool how all the RV bloggers seem to be in Alaska right now. Your post about the Walmart campers made me smile because since we learned about the overnight parking, my new hobby when home is, when passing by, I always have to check and see how many RV’s are in the parking lot. I realize that’s pretty sad, but it’s fun for me! :D!!! Rock on! Way to break that baby in and see some of the country. So stoked to hear you are out and about! As for the walmart camping, we are all about the overnight stays to check out a city or catch some zzz’s after a long days drive. This was a whole different ball game and something we have never seen before. Love following your adventures on the road……thank you especially for giving us first hand incite to taking the Alaska Trip. We are considering making the trip with our Sport Chassis and 5th wheel trailer in a year or so. Hard to believe that you are the same couple that I watched at the Hershey RV Show searching for a motorhome!! Thanks Randy, hard for us to believe too! However, while we were on HGTV (and now re runs on GAC) we weren’t the ones at the Hershey show but I remember seeing that episode too. 🙂 Thanks for being a part of the journey. Sorry for mixing up the shows….. It was the two of you that I watched HGTV because it was right after that, we started following your adventures! Your photos, advice and reviews are great, but it is the wonderful attitude that the two of you display that keeps us all coming back! Travel Safe! Hey, were just glad you are along for the ride!!!  Not sure what you are asking…we listed the fuel price at the bottom of the post. I like hearing from you but I MISS your videos. ?